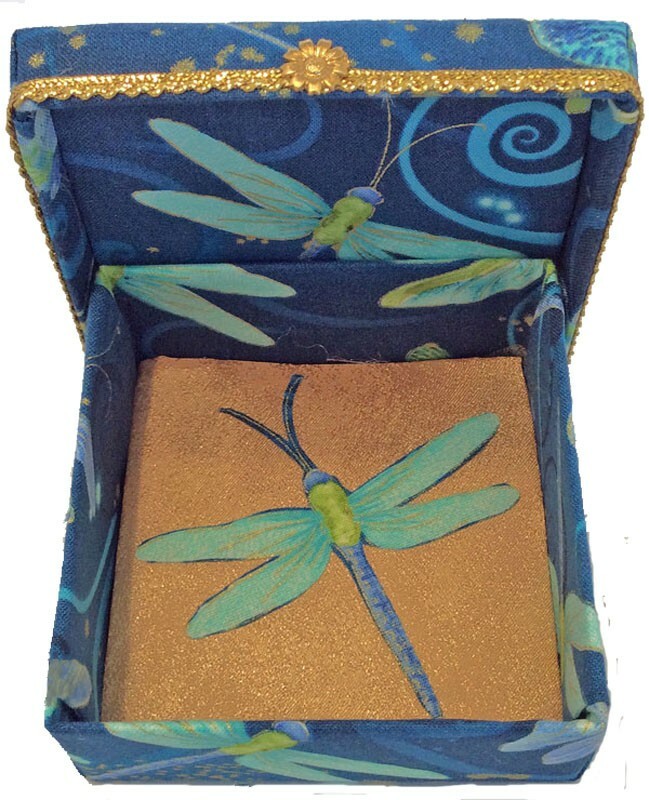 This beautiful gift box features a blue drafgonfly with shimmering wings against a blue and gold background. The lip of the lid is encircled with gold cording and a small gold flower accent. The inside is also stunning with a dragonfly against an antique gold satin. 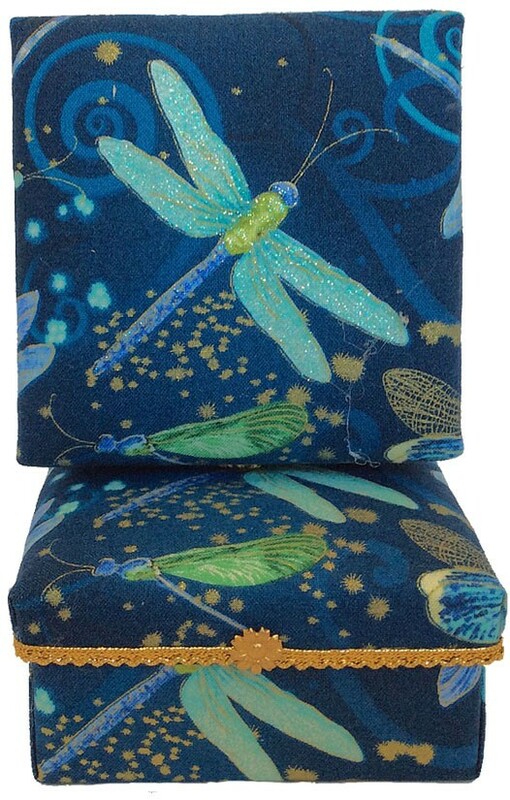 No wonder the Shimmering Dragonfly has become one of our most popular gift boxes! Available in one size only - 3.5" x 3.5" x 1.5". Imagine putting your rings and watches in this beautiful gift box each night. Or use it as a memory box for a precious small keepsake. Put some wrapped chocolates or wine holders and present as a hostess gift.